The enrollment period for Winter and Spring classes at Gavilan College is now open, and the schedule of available classes is posted online. Winter Intersession classes run from January 2, 2019 - January 25, 2019 and Spring semester runs from January 28, 2019 to May 24, 2019. The Aviation Maintenance Technology program begins January 10, 2019. Different categories of students are invited to enroll according to the Priority Registration schedule below. 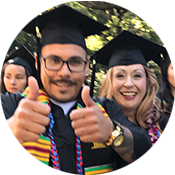 For example, Foster Youth, Homeless Youth, Military Veterans, and students participating the CalWORKs, Adapted Education Center, or Extended Opportunities Programs and Services are able to enroll in the first Priority on November 26 and 27. Students who miss their Priority enrollment period may enroll at any time after that. Gavilan College offers classes at five locations as well as online: the main campus is in Gilroy, with additional instructional sites in San Jose's Coyote Valley, Morgan Hill, San Martin (aviation only), and Hollister. Gavilan College is one of the California Community Colleges. The cost for California residents is $46 per unit vs. $279 per unit for out-of-state residents. Financial aid is available. 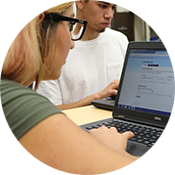 First year students who graduated from a California high school may be eligible for free tuition through the Gavilan Promise program. Gavilan College offers academic programs leading to Associate in Arts (AA) degrees, Associate in Science (AS) degrees, Associate in Arts for Transfer (AAT), and Associate in Science for Transfer (AST) degrees. The AAT and AST degrees provide a clear pathway to transfer to California State University, University of California, and private universities. Career programs leading to degrees, certificates, and employment are offered in Administration of Justice, Aviation Maintenance Technology, Business and Accounting, Child Development, Cosmetology, Computer Science, Digital Media, Drone Technology, HVAC, Nursing, and Water Resources Management. Not-for-credit career programs include phlebotomy, Veterinary Technology, Dental Assisting, and Pharmacy Technology. Noncredit instruction is offered in English as a Second Language and GED preparation. * Eligible Continuing students during Priority 1, 2, or 3 registration must be in good academic standing e.g. not on probation for 2 consecutive semesters or dismissal and have less than 100 earned units total excluding 30 units basic skills or ESL classes. * New to college students for Winter/Spring 2019 who are eligible for Priority 2 or 3, must have completed orientation and have a math/English placement and an education plan to be eligible for priority registration. Those who have not successfully completed a orientation, placement and an education plan may enroll during Priority 4 registration which starts on December 5.